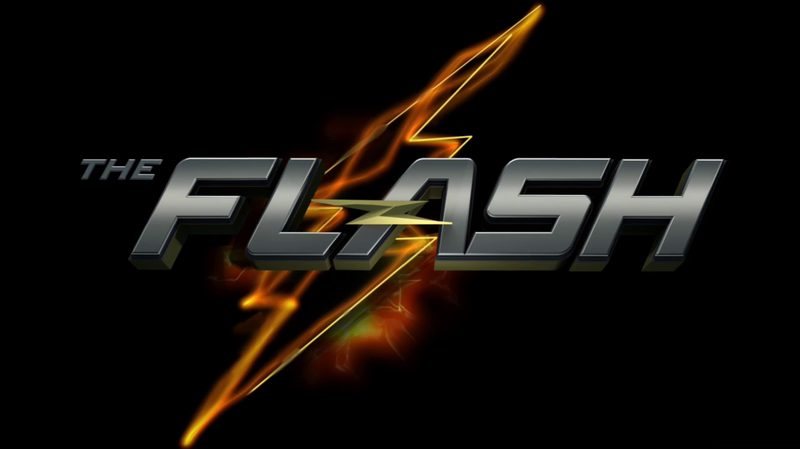 The title card from The Flash. The following article covers in-depth plot points from the first and second season of the show, The Flash. When people compare the first and second season of The Flash against one another, the general consensus seems to be that the first season was the superior one. Typically, the reason season one is more highly regarded is because it is so different from Arrow, which was blatantly inspired by the Dark Knight films and had a confusing mix of that darkness alongside CW-inspired wealthy teen brats in its first season. I mean, you can even compare it to Netflix’s Daredevil. While other shows were going darker, The Flash took us somewhere else. Yes, people actually smile on this show . . . in season one. The Flash challenged us to be happy, and it wasn’t just Barry Allen. Cisco Ramon was a blatant geek any tech lover could relate to, while Iris West was just concerned with getting Barry a date. Allen himself was thrilled to be exploring his powers in-between all the insanity happening around him. If I were going to pinpoint a single reason why season one was superior though, it would have to be because of the central villain: Eobard Thawne, in the guise of Harrison Wells. To be clear, Eobard Thawne himself, without the Wells disguise, is a good villain in his own right. As the Reverse Flash, he’s a threat to reality and time itself, as demonstrated during his stint on Legends of Tomorrow. This is a man who got his hands on the spear that killed Jesus and used it to create an entirely new timeline where even the Black Flash (an embodiment of death itself) couldn’t get to him. That’s quite the accomplishment, as far as villainy goes. However, it’s during his time as Wells (which I’ll refer to him as throughout the rest of the piece) that we are treated to one of the truly special villains of television. Let’s compare him against Zoom, the villain of season two. Zoom is positioned in the story as an overwhelming threat, a speedster of almost incomparable speed. In his Zoom guise, he’s dark, grim, and threatening, in that kind of obvious villain way. It’s the ‘obvious’ part of his portrayal that really makes Zoom suffer, because his villainy is so superficial. He wants to destroy the world(s) and become the only speedster left alive. He talks in a deep, grimdark voice and makes sure you know he can break you. It’s dark almost to the point of cheesiness. Poor man’s Darth Vader with extra speed. Although nobody knows it, he’s also the fake Jay Garrick (real name Hunter Zolomon) that’s living with the team after he got stranded in Barry’s dimension. Garrick is a sufficient character, but never anything truly special. He comes off as cowardly at times, he fills in as a substandard love interest for Caitlin, but as a character he’s always shown up by more dynamic people in the cast – not the least of which is the Harrison Wells from Jay Garrick’s dimension. If you’ve never seen the show, well, you shouldn’t be reading this piece. However, in a nutshell, every reality has its own version of a character. Although Harrison Wells was dead in the reality The Flash originally takes place in, he’s alive in the reality Garrick comes from and works actively to try and destroy Zoom. So, Garrick/Zoom are sufficient characters, but neither one is overly complex or different from a lot of other villains you can find on television. The Harrison Wells from the first season of The Flash, the original Harrison Wells the audience is introduced to, makes Garrick/Zoom look . . . simple, to be honest. In his original portrayal, Harrison Wells is a wheelchair bound genius looking to right the wrongs of his past. He accidentally destroyed parts of Star City and granted people super powers they can’t control. Harrison Wells and Barry Allen. By working with Barry, he helps to repair all the damage he did. In the process, we get to know Wells incredibly well. One of the larger themes of season one of The Flash is the importance of family. Barry’s father is in prison, his mother is dead, and he’s found a family in the home of Joe West and his daughter, Iris West. However, Barry perpetually feels powerless to solve the mystery of who murdered his mother. After becoming the Flash, he joins a new family with the researchers Cisco and Caitlin but, more importantly, with Harrison Wells. The two form an incredibly close bond and Wells, in many ways, acts as a guiding father figure for Barry. That’s what makes it so heart rending to see almost every episode ending with Wells acting in some despicable way, hidden from the eyes of others, either by murdering someone or spying in on Barry. Here is a complex figure who genuinely seems interested in helping Barry become a better, stronger person, but who at the same time seems to have a secret agenda. And in the end, what is that agenda? It isn’t to destroy the world. It’s to go home. That’s the kind of motivation that anyone can relate to, and it fit perfectly with the larger theme of the first season: the desire for a home, a family. It’s something we can all identify with because it’s part of the human struggle. Season one is partly so incredible because it sticks to some very powerful themes embodied in the relationship between Barry and Wells. Even when the end is coming, when the depths of Wells’ villainy is obvious, you can’t help but wish that somehow things could turn out differently, that he could live on and renounce his evil ways. One of the most powerful character moments for Wells may not even take place between Wells and Barry. It’s a moment when Cisco discovers Wells’ true identity. The two men confront each other, and Wells reveals he’s not actually wheelchair bound. Cisco knows what’s coming as Wells’ hand begins to vibrate at super speed, ready to kill. As Cisco cries, Wells tells him everything he loves and respects about him, and confesses it was as close to a father and son relationship as he ever had. That moment is complicated by the fact that Wells is from centuries in the future. Cisco, from his eyes, has been dead for centuries. In that moment though, all these complex themes run up against each other. Wells kills Cisco to protect his secret, because Wells is still selfish and, in many respects, evil. However, you feel as if Wells regrets what he has to do. It’s a very human portrayal, one that surpasses anything we get from Zoom in season two. Of course, this is all helped by the fact that Wells is portrayed by Tom Cavanagh, who turned out to be one of the best actors that television has ever seen. The depth of his portrayals and flexibility as an actor go a long way toward making Wells a far more intriguing villain than Zoom ever was. There were even some people claiming he deserved an Emmy for his portrayal. So, much of the success of season one does boil down to an amazing performance by Cavanagh. However, let’s also give the writers of season one credit for creating such a nuanced, deep character as Thawne/Wells. He’s the kind of villain we could use more of on television, one who still deserves to be brought to justice, whose evil needs to be stopped, but who is also incredibly relatable at times.